It’s the last day of June, and time to look over all the products I was loving this month! I’ll be honest, this month I reigned in my spending habits and so I didn’t have many favourites to whittle down, but that meant that I spent more time using the few things I did buy, and now love! As you can see this month there are still seven things I was loving, but I won’t go into crazy detail about each as they’re pretty self explanatory, but here we go! Number one is this month’s Vanity Fair with Kristen Stewart on the cover. Of course, I love Kristen so I couldn’t get my hands on this quickly enough, the spread inside though is just to die for. It is my absolute favourite Kristen shoot that she has ever done. In true Vanity Fair style it is truly breathtaking, mountains of couture, maximum drama, each picture with a different story, I love it! It’s reminiscent of the amazing Katy Perry shoot that VF did last year with her out and about in Paris, this editorial is in a similar vein being set again in Paris. Where else when it’s that beautiful though? If you spot this in your newsagents grab it pronto, there’s even a small piece on Jessica Pare in there too which, being a Mad Men fan, I also enjoyed. To see my Kristen Stewart lookbook, click here. Number two is a nail polish, (get ready for another two!) and it’s Ciate’s Purple Sherbet which comes free with this month’s Marie Claire, (it’s still available instore). I trawled so many newsagents looking for this exact colour and I’m glad it paid off as I’m obsessed with it. The colour is a gorgeous pastel lilac that looks super creamy and luxurious on the nails. 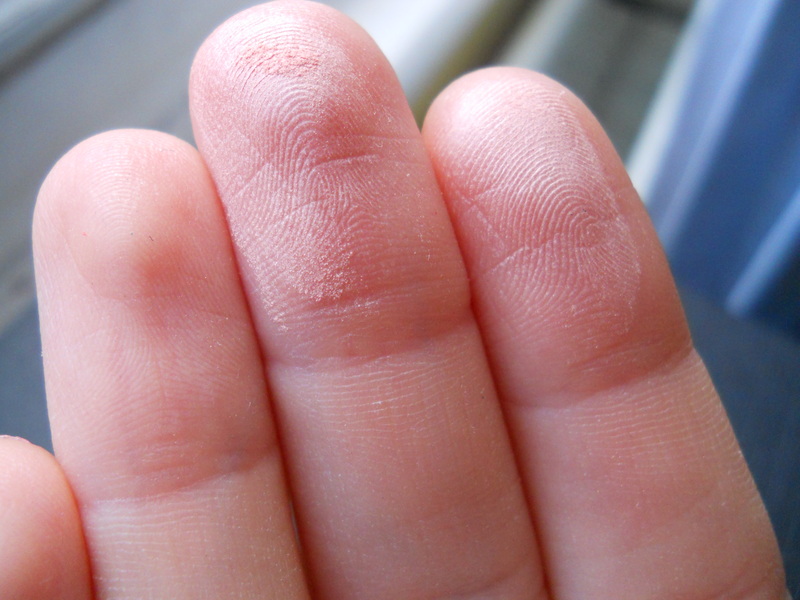 It goes on opaque in three steady coats and is hard wearing. This is my first Ciate polish and I’m definitely getting more! 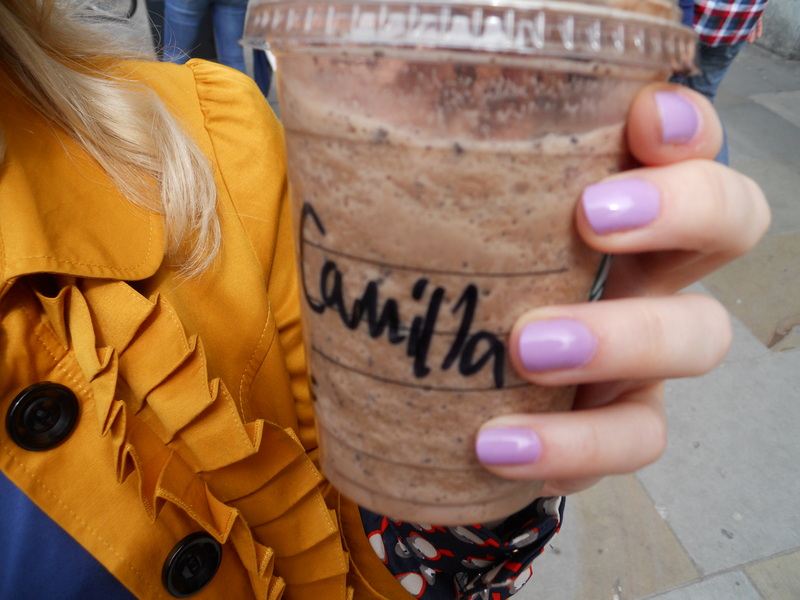 To see this manicure in context in a recent OOTD, click here. Number three again is a polish and it is one I can see myself donning constantly for the forseeable future. It’s NYC’s Mint Macaroon. 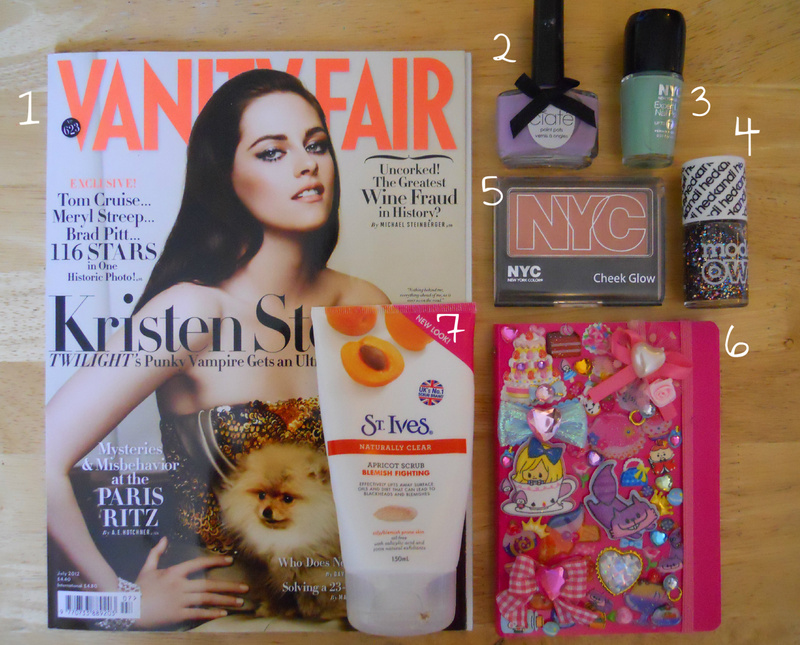 I went on an NYC hunt around Superdrugs in my area to pick up a few bits for review. On reading the name I instantly picked this up and loved the colour. For £2.49 I thought this was reasonably priced and being obsessed with macaroons I just had to get it. I have to say, (a full indepth review of NYC cosmetics is on its way), but this polish is honestly brilliant. It took only two coats for full opacity, is super shiny without a topcoat and it really lasts on the nails. The colour is a really understated minty green that has maximum wearability as there isn’t much that this won’t compliment wardrobe-wise. In love. Number four is the last polish of today and it’s from Hed Kandi’s recent collaboration with Models Own. 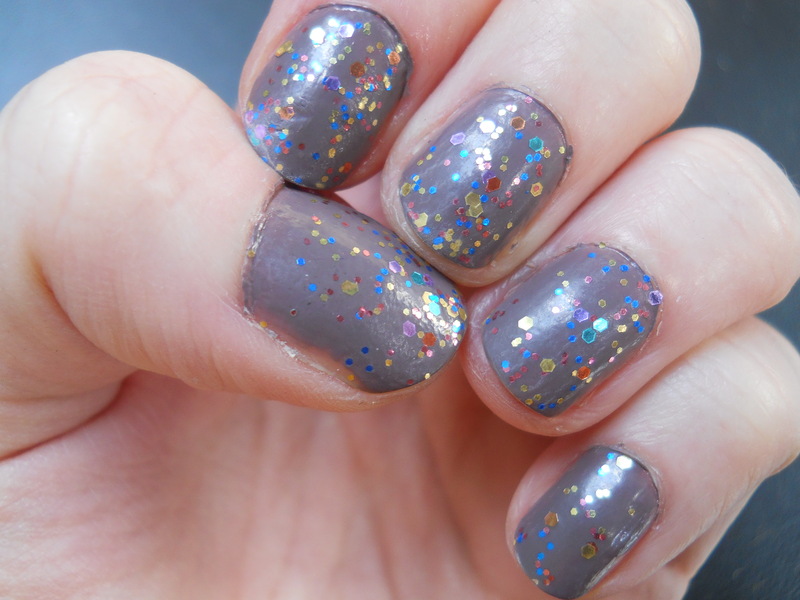 I adore Models Own polishes anyway, they are amazing, so when I saw this incredible glitter named Ibiza Mix, I pounced. It’s not the cheapest polish at £5 but compared to dense glitters like this at Deborah Lippmann or other higher end brands it is reasonable. The large sequin chunks are mostly purple, green and orange and make for a more unique glitter polish than your average. I layered this over NYC’s Park Avenue and really loved how the colours popped against the taupy brown. It lasted well, and the glitter is dense enough that one or two coats would be enough. You can pick up this polish here. Number five is a blusher which has claimed the title of my favourite blusher in the world ever. It sounds strange that a £2.99 high street blusher could be so amazing, but it is. I picked up this blusher from Superdrug solely because I wanted to review some NYC products, and it was called Central Park Pink! But, when I tried this out I found it to be the perfect, and I mean perfect, ‘healthy’ shade for my skin tone. It really does make me look ‘well’ and it’s a subtle blusher for days where you don’t want more obvious colour. 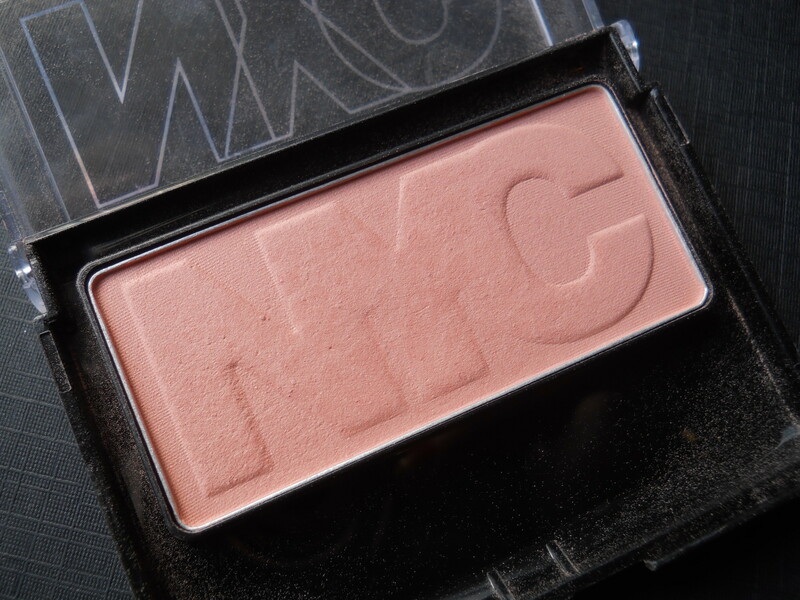 This is now my everyday blush and I just use it with a small blush brush on the apples of my cheeks to lift my face. This is ideal if you’re fair and you want a natural look blusher as it doesn’t overwhelm and just leaves a hint of gorgeous pink. You can pick this blusher up from Superdrug online here. Number six is a notebook that I posted about yesterday as a ‘DIY’ project. 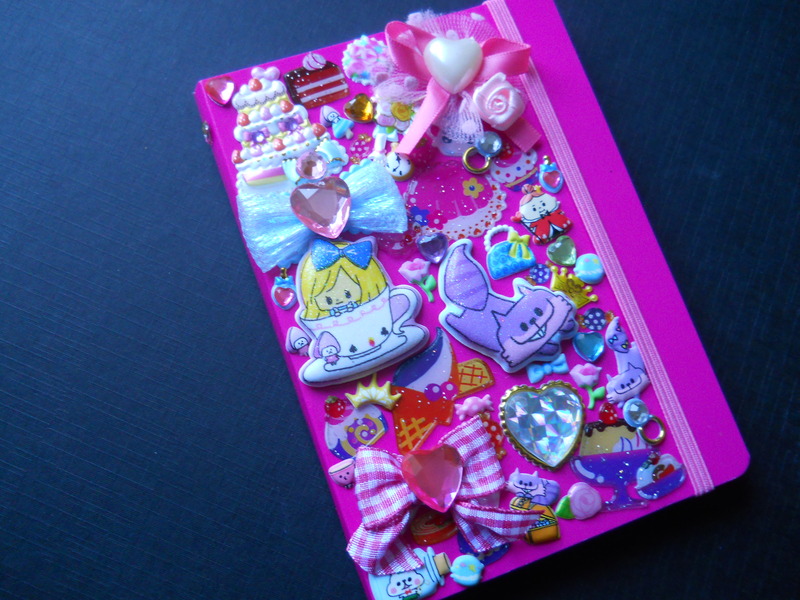 It’s a love or hate thing as I know kawaii style things aren’t for everyone, but I really wanted a notebook like this, couldn’t find one, so I made one! It cost me under £10 to make and is completely individual, no one will have the same! To read about how I ‘made’ this notebook, click here for the DIY post. Number seven is the last item for this month and it’s St. Ives’ Apricot Scrub which is not in any way a new product. I used this briefly when I was a teen and then stopped for no apparent reason, but lately my skin was going all kinds of crazy so I picked this up in three for two at Tesco. I popped it in my shower to use a few times a week, and it really has made a difference! Exfoliators I’ve used in the past have often irritated my skin and made it worse, but this really has made a huge difference. I actually would leave the house without foundation right now, and I would never have said that at the beginning of the month. It leaves my skin clean and buffs out dry patches that I suffer from, I feel that it really removes the everyday grime from my face and allows my skin to breathe. I didn’t think that this was lasting very long and was sure I was being more conservative with it when my boyfriend suddenly piped up and admitted he was using it too, so there you go guys, you might like it as well. Disclaimer: All images were taken and are owned by me. I am not affiliated with any companies mentioned and no links featured are affiliate links, I paid for everything featured with my own money.